Who didn't love getting this story read to them as a child? I know I did, I used to let my imagination run away with me just like Max. I had a lot of fun making these guys. They were actually a cake topper request from a friend who was throwing a children's story book themed baby shower, how cool! 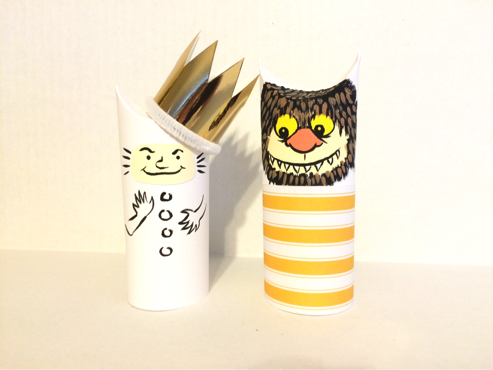 Some toilet tubes, paint and gold paper is what you'll need to craft these awesome character tubes. Find the tutorial here and read more at hellowonderful.co.